◆ Comfort grip handle offers fatique free working experience. ◎ Hex: 0.7 mm, 0.9 mm, 1.3 mm, 1.5 mm, 2 mm, 2.5 mm, 3 mm, 4mm. ◎ Slotted: 1 mm, 1.5 mm, 2 mm, 2.5 mm, 3 mm, 3.5 mm, 4mm. 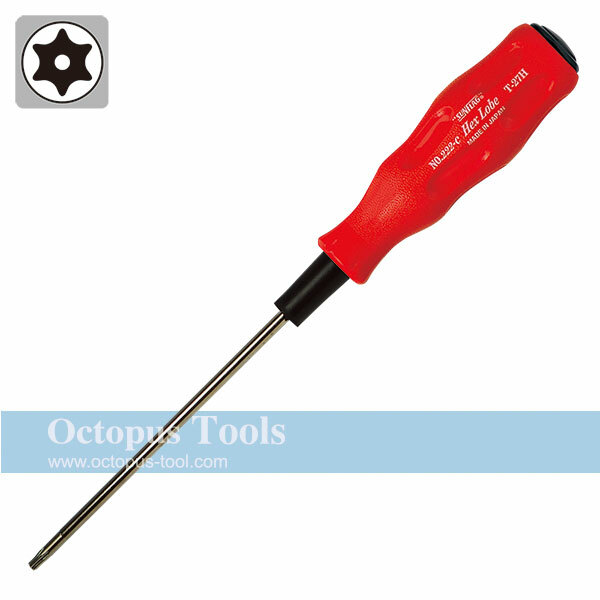 ◆ 6 pcs of double-ended Torx bits 110mm long fit 12 different screw sizes from T-5 to T-40. ◆ (Patent) The design of jaws creates powerful gripping and torque. ◆ Contains T5, T6, T7, T8, T9, T10, T15, T20.